The UK is in the midst of significant changes to our population. Foresight recently worked with Policy Lab and Central Saint Martins to investigate how design can help an ageing population. The Office for National Statistics forecast that there will be an additional 7 million more people over the age of 60 in the UK by 2039. The Government Office for Science has run a Foresight project on the future of an ageing population with some of the world’s leading experts, such as Professor Sarah Harper at the Oxford Institute of Ageing. As a society, we are going to have to use all tools at our disposal to make a success out of ageing in our population. There is optimism that technology can help in a number of ways, from improving social connections, to personalising health services, to creating more flexible working environments. However, evidence suggests there is uneven use of technology across the population and this will persist and increase in older age. We can use ‘design thinking’ to help us understand why people do not use technology and what we can do about it. The Padio was designed by Central St Martins student Jiahui Yang. The concept is a familiar, user-friendly and attractive interface for tablet computers. Policy Lab and Central Saint Martins helped us set a design brief for BA product design students to investigate and create user-friendly designs, which allow technology to support people as they live longer. Setting design briefs is a good way to open up policymaking to fresh talents and different perspectives, as you can see with another brief that Policy Lab set on social finance, this time with the Royal College of Art. There are four ‘design principles’ which underpinned the work. These principles can also be used to design better policies for an ageing population. An important design principle is “user focus”. This means trying to experience the world from an individual’s perspective through interviews, photo essays or academic techniques based on anthropology (or spending time with and observing people). This has helped provide evidence on some of the reasons older people do not use technology. People experience physical changes as they age, including sight changes, changes in the speed and fluidity of movement, and hearing decline. As a result many older people find or perceive technology as hard to access. This includes the fonts and layouts of web-based systems and cumbersome ‘wearables’. Central St Martins student Jiahui Yang responded to this challenge with the “Pad’io”. Evidence suggests that older people can experience particular problems using touchscreens as they are unfamiliar. The Pad’io translates the interface of a tablet computer into more traditional mechanisms, in this case recalling a stylish radio interface which is more instinctive to use. An important design principle is that collaborative and interdisciplinary teams can bring new perspectives to an issue. An insight from the Foresight collaboration is that the health of people today will affect the nature of the ageing population in the future, including the cost of providing health and care. Central St Martins student Qian Han responded to this insight by creating “MindSit”. 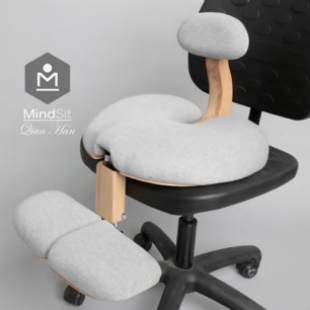 This is a smart seat designed to improve posture and mental health problems throughout an office worker’s life, before they reach old age. It includes built-in sensors and an inflating system to improve posture. More unexpectedly, the footrest can be adjusted to facilitate the lotus meditation position. Iterating work quickly to improve initial concepts can save time in the future. Shihya Huang’s “Localtell” is a video camera designed for older people that can be borrowed from the library and used to record their stories and histories of their locality. An important part of the design process was to create a mock-up of this and test it with local people in Greenwich so they could give feedback on the concept and ease of use. Prototyping enables an early conversation and the opportunity to iron out problems before significant resource is committed. Policy Lab has long championed this as an effective principle for improving government service delivery and policy making. People have different ways of communicating and understanding ideas. Many people instinctively think visually. Visualising ideas can force a different or creative interpretation of an issue or event. The prototypes created by the Central St Martins design students provide a prompt for policy makers, the research community and designers to consider how technology can be harnessed for an ageing population. They act as provocations. Even if these ideas themselves are not taken forward, they can lead to other ideas, or inspire policymakers to think in different ways. We look forward to continuing work with these groups to find solutions for an ageing population. But do you respond well to a visual presentation of ideas? 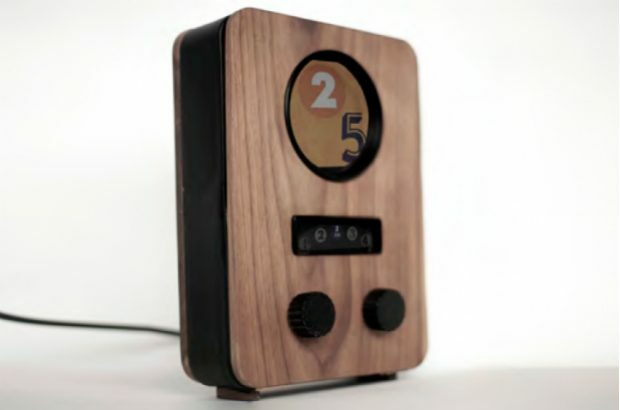 Do these designs make you feel any different about our ageing population or do they leave you cold?